According to this year’s Internet Trends Report, the cloud is steadily expanding and companies are spending more on these services. Businesses are opting to use these third-party services rather than build their own internal tool because they are often easier and less expensive to deploy. There’s no need to assign IT resources and purchase necessary hardware to deploy a new software solution, so the business unit can sign a contract and start using a solution almost immediately. What surprised me most from the report was the breakdown of the number of cloud services used by each department. Coming in at the top of that list was marketing, with an average of 91 cloud services. Our marketing team certainly uses a fair share of cloud services but the number isn’t anywhere close to 91 number. Regardless of the actual quantity, though, if one of our providers were to experience an outage, our technology would be affected as well. It’s important to remember that although service level agreements (SLAs) are likely in place, unexpected outages may occur. Today’s applications are incredibly complex and even though many tasks are automated in an attempt to eliminate human error, outages are still inevitable. On July 25, Marketo experienced a large outage due to a failure to renew their domain name. DNS is often the culprit when a website experiences an outage, and this isn’t the first time a company failed to renew a domain. Companies including Microsoft, FourSquare, and The Dallas Cowboys have all experienced the same issue. Companies often go through a post-mortem process to determine what went wrong and what can be done to prevent similar incidents from occurring again. Learning from past experiences is important, and that philosophy applies to the consumers of cloud services as much as the vendors. What can we as consumers do when cloud services we rely on go down? First: recognize that outages will occur. No site is infallible; every application or service you use will likely experience an outage at some point. Second: show some empathy. While it may feel good to complain and express your frustration on social media, that doesn’t actually get things resolved any faster. It’s reaffirming to see #hugops posts on Twitter as a show of support and empathy for companies dealing with disaster. Finally, put a cloud monitoring strategy in place. You are probably monitoring your infrastructure and internal applications already, but your SaaS applications should be monitored as well. This enables you to be notified of an outage or performance degradation immediately. It also provides a way to track your SLAs. Once an incident has been resolved, there may still be residual effects that will influence the application for some time. 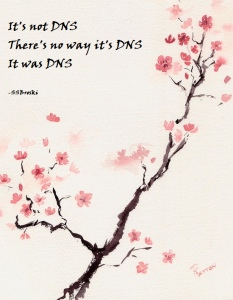 While Marketo resolved their DNS issues on the same day as the outage, their performance did not return to ‘normal’ until two days later. To learn more about building a cloud performance monitoring strategy, download our ebook, Using Digital Experience Monitoring for Cloud Performance Management. 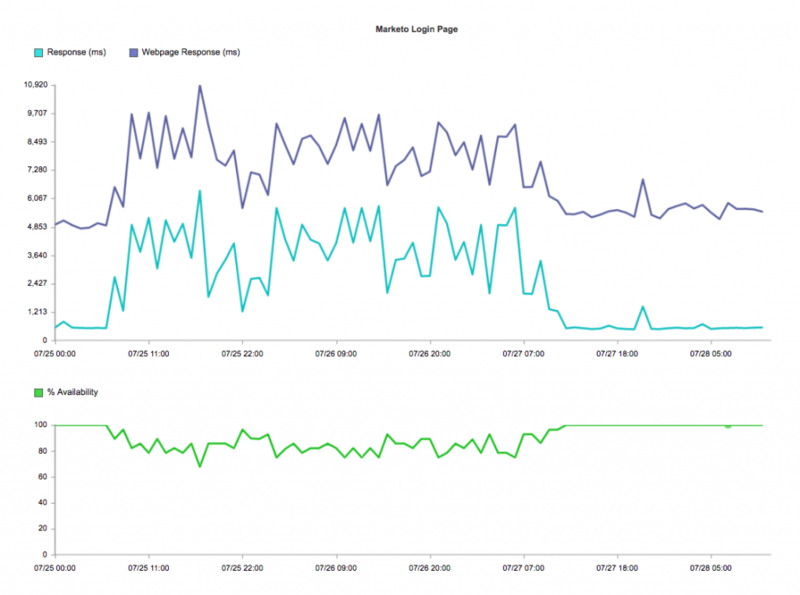 The post Cloud Monitoring Lessons Learned from Outages appeared first on Catchpoint's Blog - Web Performance Monitoring.